Have you read The Bipolar Experience: Your Dreams Are Bigger than Bipolar Disorder by LeeAnn Jefferies and Eva Marie Everson? 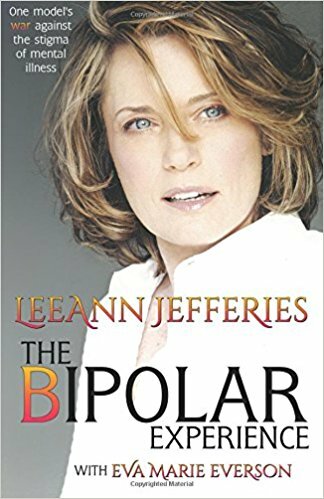 As a person who struggles with bipolar disorder, I was naturally drawn to LeeAnn Jefferies’ story. The fact that she was a top model for more than 16 years added to my intrigue. I felt like I was sitting on a wicker chair on a wrap-around porch listening to LeeAnn tell her story, her Southern accent and flare on display between our sips of sweet tea. I appreciated her authenticity. I know what it’s like to be afraid of my own mind. Oh, I hated it, I hated it! But I learned to live within the hell of it. Because that’s what it was. Hell. 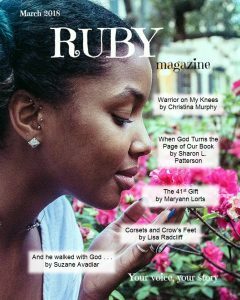 With all the good going on in my life–with all the God at work–I had come to a sure truth: I knew exactly where the devil’s playground resided. And it was with me all the time. Right there, in my mind. Most of us can only live each day as it comes. But those with bipolar disorder will either live those days bouncing off the clouds or clawing our way through the mud. I’m thankful I’m neither in the clouds or the mud these days. The Bipolar Experience is a good resource for family and friends of those with bipolar disorder. Eva and LeeAnn sprinkle facts about the illness throughout the book, but they approach it in the context of her story, not as a medical encyclopedia. I could relate to LeeAnn’s goal-oriented side of bipolar disorder. It’s a little known fact that a bipolar person tends to fixate on a goal–however big or small–until they achieve it. Many times, a person with bipolar disorder is viewed as extremely productive. I could see that in LeeAnn’s story–and in mine. The story hops back and forth through key events in LeeAnn’s life, which as, LeeAnn herself admits, is a glimpse into the life and mind of a person with bipolar. There are times in the telling of this story when I worry that I cannot keep the reader on track. Then again, this is a book about the bipolar experience, so why should I be able to do that? After all, my life has been up and down, down and up. Around a left-turn corner. Around a right-turn corner. I can understand the rationale for that approach. However, as a person with bipolar disorder, I found it difficult to follow her journey. People who struggle with the illness are often obsessed with things being in a specific order–to the point of OCD. (LeeAnn mentioned her struggles with OCD too.) In order to create a linear progression of her life, I had to, as a classic sign of a bipolar person, go back and highlight the year in each chapter to understand what happened first, next, and so on. Nonetheless, the non-linear approach is a good representation of a bipolar mind for those who don’t face it firsthand. I know family and friends of bipolars will appreciate the chapters by her husband and daughter. They were honest, heartfelt, and demonstrated the power of a strong support system. The importance of a good doctor is a continuous thread in the book. Overall, I recommend The Bipolar Experience by LeeAnn Jefferies and Eva Marie Everson to family and friends of those struggling with the nauseating see-saw of this illness. For those who face this struggle, The Bipolar Experience is a reminder that God can use our circumstances (including illnesses) for good, but only if we let Him. LeeAnn is a great example of that. I am. You can be too. Come alongside… Do you know someone with bipolar disorder or another mental illness? How can you support them? Do you see signs of mental illness in yourself? What can you do to get help? If you have been diagnosed with a mental illness, how are you managing your life? Comment in the box below where it says, “Leave a Reply.” Remember, you can comment anonymously. A while ago, I wrote about being in a funk. 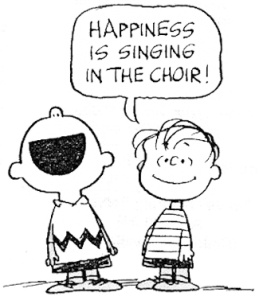 I took my own advice, picked up singing again, and joined the Lakeland Choral Society. Rehearsal night is one of the highlights of my week. I love everything that comes with singing in a group. Interacting with people of all ages and lifestyles. Feeling accomplished when I hit the notes in a difficult section of music. Practicing different styles of music. Doing the warm-up exercises–deep breathing, stretching, massaging. Singing scales with different vowel sounds. Feeling refreshed at the end of it all. All of these reasons–and plenty more–have scooped me out of my funk. I love to sing out! As if singing in the choral group weren’t enough, shortly after joining LCS, our director informed us of an opportunity to sing in an opera with the Imperial Symphony Orchestra. Who would’ve guessed that singing in an opera–one of my bucket list items–could become a reality! Without a second thought, I–along with several other choral members–volunteered to be in the cast of the ISO’s presentation of Ruggero Leoncavallo’s Pagliacci. Sometimes, I felt way out of my league, and I wanted to quit, but I remembered why I volunteered–not just to sing, but to sing deeply, to feel the intensity of emotions in an operatic presentation. This was way more than singing opera in my living room, which I do regularly. This was singing opera with professionals and other people who love opera. This was experiencing the highs and lows of every aria. Many times while we were on stage, we forgot we were acting. Emotion overwhelmed us as we sang out. It was a once-in-a-lifetime experience–one I’ll never forget. I treasure the intensity of it all. It might seem an exaggeration, but to someone who struggles with depression, singing in general–and opera, specifically–has helped me release a host of pent-up emotions–sadness, anger, jealousy, internal strife, joy, mania. Whether it’s our weekly rehearsal or an opera performance, within two hours, I’ve exhausted my entire being in the most refreshing way. I sleep soundly. Research shows music and singing have many benefits. Singing improves physical, mental, emotional, social, and spiritual health. Singing in a group amplifies those benefits. Even the Bible is filled with references to singing, commands to sing, and the power of singing. All of God’s creation sings out. You might not be interested in joining a choral group, much less singing in an opera. You might think you’re not even a good singer. Whatever your reservation, sing! Sing out! Incorporate singing into your life. Crank up the car stereo and sing along. Practice singing the musical scales. Play singing games with your family. Instead of speaking to each other, sing! Sing the Psalms in the Bible. Sit in on a choral rehearsal. Sing along to operas like Pagliacci. Here’s a list of the top 50 operas. Whatever you do, whatever you feel, sing out! Sing for your health. Sing out for God. You were made to sing out! Come alongside… Do you like to sing? Why or why not? What would it take for you to sing out? How can you incorporate singing into your life? What health benefits have you experienced as a result of your singing out? Comment in the box below where it says, “Leave a Reply.” Remember, you can comment anonymously.